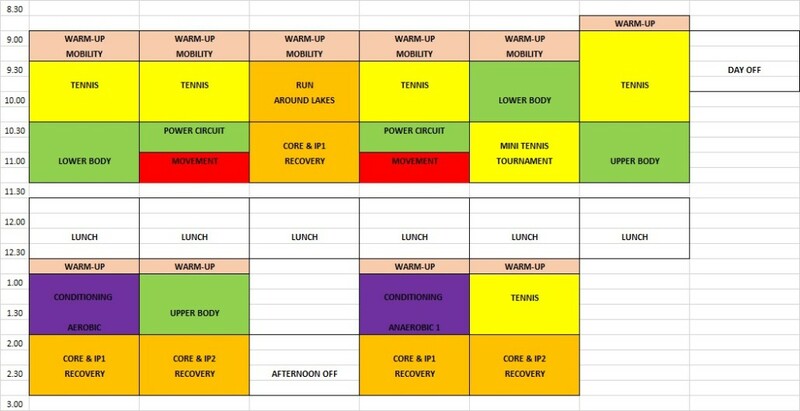 This week with pre-season starting for some of my professional Tennis players I have recently being reviewing the training plan I have written and reflecting on how I was going to ensure that all the athletes get what they need. It threw open a few good debates with the wider Performance team about the purpose of fitness testing, and also musculo-skeletal testing. Does it need to be done- was basically the question the sports coaches were asking of me? I have also been personally reflecting on my own roles as a strength & conditioning coach and reflecting on how much knowledge I need to have about the way my different athlete’s bodies are functioning from both a physiological and anatomical stand point. For years I have seen new coaches pop up posing as corrective exercise specialists and offering in depth movement assessments and postural corrective exercise. How much does my programming in pre-season need to speak to these individual differences? There’s also a rise in athlete monitoring tools that can basically measure anything you want so again I want to be clear on what I am measuring and why. 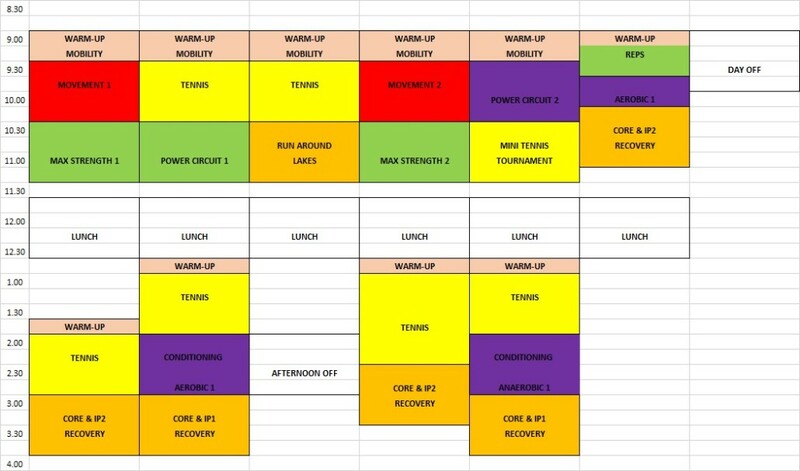 Does every athlete above need a completely unique programme? As controversial and popular topics go these are certainly ones I have followed for a few years now, and at this time of year I like to reflect on this as well. So this blog is really a response to three topics- the first one is about the value of fitness testing from my perspective. The second one is my views on corrective exercise specialists. The third one is my take on athlete monitoring. I will include two links to two recent articles which I highly recommend you to read. So the situation is the week before pre-season and one of the professional players is due to return for pre-season. They have had a week off on holiday at the end of a long competition campaign (in Tennis that basically means around 25 tournaments in 10 months). Initially I am a bit dumb founded because I am thinking to myself, “Are you serious?” but then I sit back and think it’s actually a smart question that deserves a proper answer. Testing require maximal effort over several tests across various fitness parameters such as strength, speed and stamina- some of which are in tests that are not specific to the movements of the sport. The risk-reward equation plays heavily on the mind of the sports coaches too who are protecting their prized assets from unnecessary risk. I get it. Does the test actually influence the subsequent training? Do we need to ‘sacrifice’ a day before and after a testing session to recover? Do we need to push them in the first few days back? 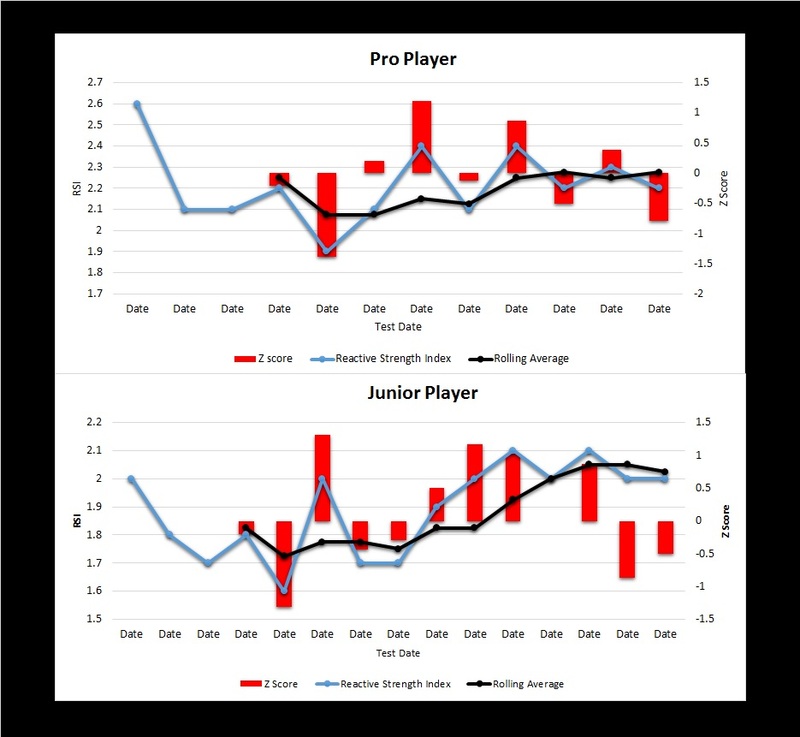 If you have an athlete with so many years data behind you, are you really guessing? When there is a lay off through injury, or there is a reduction in training for some other reason for more than a few weeks then it is a no brainer. Historically myself and the Head of Sport Science & Medicine I work closely with at the Tennis Academy have said you need to be at above 80% of your baseline markers to return to a full training and competition schedule. When you have a lay off we need to know if you are above 80%. Generally speaking assuming the athlete is fit and healthy we may well be able to predict what scores they will get within 5-10%. But crucially, we may not be so easily able to estimate what percentage of improvement we have made in the 4-week pre-season. I like to know rather than just rely on the athlete’s feeling that they are fitter, faster and stronger. Also, I don’t think it’s necessarily a bad thing to be able to feedback to an elite athlete that yet again their scores have met the baseline markers we are looking for. Even if it is ‘normal’ for them. I used to stress about this when working with elite athletes as I really wanted something in the fitness test to show up as a weakness (or a strength) so we had a clear focus for the training. But actually the fitness test is simply an insurance policy- yes- you have a full bill of health. You have a strong foundation of general fitness on which you can build the plan. The specific goals then become more about the demands of the game and where the athlete feels they can make some extra gains. Usually this can be about working with the physio to rehabilitate some niggling injuries, maybe working on a bad habit in terms of movement around the court and fixing that, or even doing some specific work to prepare for a change in game style. For example, if building more net play around your game style perhaps we need to condition the hamstrings more for some extra sprinting and stopping. My curiosity has peaked in recent months about sport biomechanics and I am even going to go to a 2 day course on pelvis function with Biomechanics Education. I recently read a great article on the Personal trainer Development Centre (PTDC) website (www.theptdc.com) titled, ”A Corrective Exercise Specialist’s Guide to Training Clients Through Pain.” You can read the whole article here. He makes a really great point that first and foremost clients are coming to us NOT to take away pain but to gain a TRAINING EFFECT. It’s worth remembering that! Yes- we need to have an awareness of what movements elicit pain but more than that, it’s about having an arsenal of exercise variations and tweaks, and learning how and when to use which training technique to gain the desired training effect. What movements can you still perform with them that work them hard, get them stronger and are pain free?? If you take your standard stock of go to exercises there are usually some common pain provoking exercises that can be accommodated with some alternatives. You’ll notice that a lot of the pain is during anterior loading of the knees or shoulder during pushing/pressing activities!!! Pain on Split squat lunge (front leg)- use a shin block to promote vertical tibia. If back leg try foam rolling quads and/or use support under knee to reduce ROM. Or try a less upright posture and use more of a forward lean with a more pronounced hip hinge. So my take home is that perhaps not every athlete needs a wildly different programme, but perhaps the individualisation comes from knowing which variation of a classic is best suited to each athlete. Here are some further thoughts from Steve Magness on assessing versus guessing in the context of movement screening. I’ve written about this topic on several posts. Lately I have been monitoring Z scores to not worthwhile differences in markers of performance, related to neural fatigue. It’s early days but I’m going to stick with it for several months to make a real determination of its ability to tell when athletes are fresh or fatigued. So far I haven’t any athletes report a Z score of more than 2, which is the criteria for a significant worthwhile change from the norm. In essence, we have the same issues with these tests where sport scientists are using numbers to determine readiness or prepardness. They provide some pretty little numbers, but do they really assess the issue we’re most concerned with? Some will argue they don’t. What some suggest, is perhaps instead of needing to codify every single difference in movement or health marker, maybe we’d be better off by engaging in practice, giving attention to how our athletes move and look and building up a large enough bank of movement watching, that we can let our master pattern recognition software in our brain do it’s job. Right now, myself and the Head of Sport Science & Medicine I work closely with at the Tennis Academy have said you need to be at above 70% of your baseline markers to carry out a full training session. When you have recovered less than 70% (based on your health questionnaire used as part of your morning monitoring) training will be adapted accordingly. The health markers are subjectively reported scales based on muscle soreness, energy levels, muscle fatigue etc. If they report a drop in comparison to their 4 week rolling average that is less than 70% of that, we can advise reduction in volume and/or intensity or even complete rest. The jury is still out. I still feel comfortable using both intuition and science to back up my hunches. I hope you have enjoyed my ramblings and have reflected yourself on why and what you test!!!! I’d love to hear your comments!! What are the main differences between training pro athletes and recreational athletes? 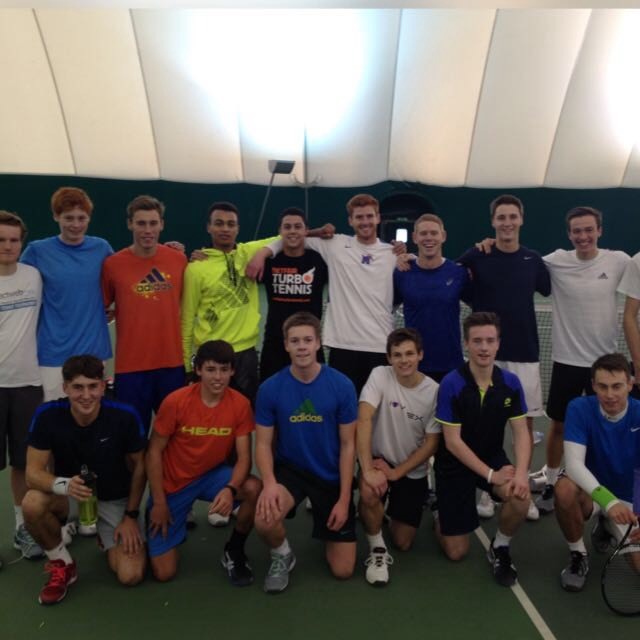 It’s that time of year again when I have the privilege to put Gosling Tennis Academy’s professional players through their paces with the 4 week long pre-season December 7th- January 3rd. At the same time I have started training some adult club Tennis players in our new Adult Group Fitness sessions. 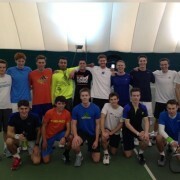 It got me thinking about what some of the main differences are I am experiencing between training the recreational Club Tennis players and the Professional players. I’ve previously written about some of the main programming considerations I have for athletes of all stages from young children to professionals here and here. I guess the obvious difference is the amount of time available to commit to their training. In this first half of the blog I am going to give you a taster of how I typically train my recreational athletes and what the kind focus points are for their training. Recreational athletes can start to make gains by adding more training volume to their programmes, firstly by getting more out of the hours they do in each session (by reducing rest and increasing amount of work). This is what we mean by increasing work capacity. Secondly, by increasing the frequency of sessions they do in a week. Initially this can be adding recovery workouts to promote more frequent opportunities to work on mobility and blood flow. Later it can be to add extra conditioning sessions such as interval training or speed work. I generally ask recreational athletes to focus on getting into the gym 2-3 times a week to work on their strength and then if they are keen I will add in extra conditioning sessions built initially around mobility sessions which combine nicely with an interval or speed session. I have previously wrote about Periodisation many times and it is so important to respect the athlete’s injury and training history. With recreational athletes they may be in worse or better shape than the pro athletes in terms of wear and tear. I have actually found that the Veteran tennis players (40 and over) have in many cases better freedom of movement in exercises like squats than the pros!! They don’t play as much so they don’t get as stiff in the ankles, hips and thoracic spine. But in every case I will always do an initial assessment to check this out. Following the initial assessment I put all my recreational athletes through 3 month training plans which have progressive overload built in. 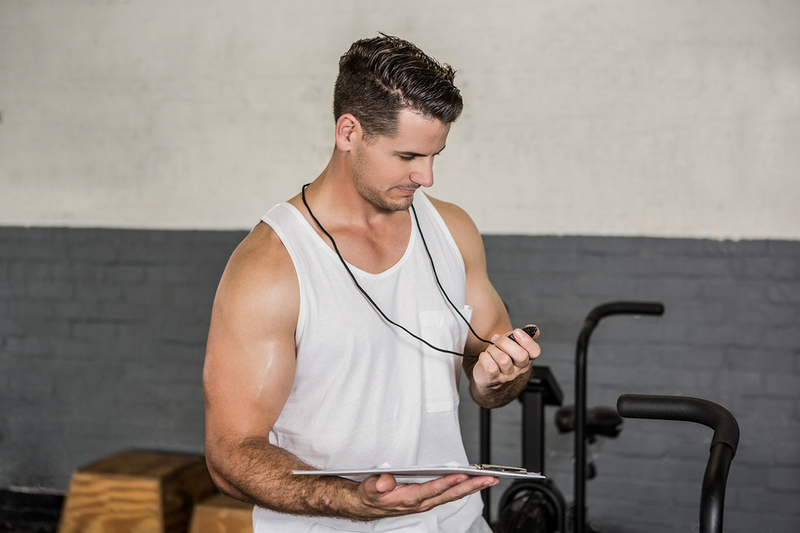 These type of programmes are based on Linear Periodisation– which means there is a progressive increase in intensity and reduction in volume. 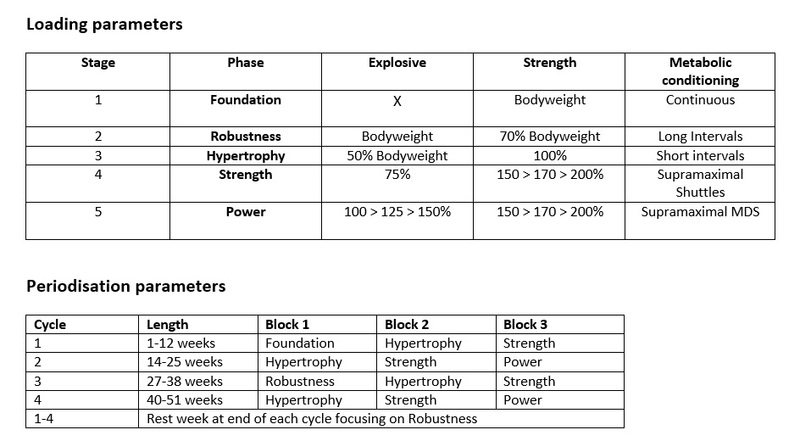 As you will see below I have a long term athlete development journey which starts at Stage 1 (the Foundation phase) and progresses through to Stage 5 (the Power phase). This helps me make smart decisions about what type of Explosive, Strength and Metabolic conditioning work I need to be doing with the athlete. I always say to my recreational athletes that my aim is to give you an experience of exactly the same types of training methods as the pros. This process will usually take two cycles (cycle 1 plus cycle 2) so we can safely progress you through the blocks which culminates in a Power phase. This is a 6 month journey- provided you COMMIT to TWO SESSIONS A WEEK!!!! If you come less it will take longer. Of course recreational athletes are no different to pros in that they want to build power as that is what they need to win matches. However, they also have a smaller training history so haven’t earned the right to go straight to the top of the mountain!!! So I feel I can be more patient in building the physical attributes up more steadily. 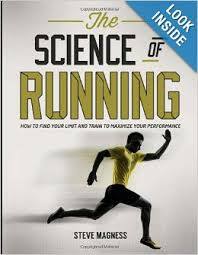 If I am satisfied that the recreational athlete has an extensive training history and good suppleness and strength following the initial assessment I may consider fast tracking them somewhat but essentially I follow the same Linear periodisation model. 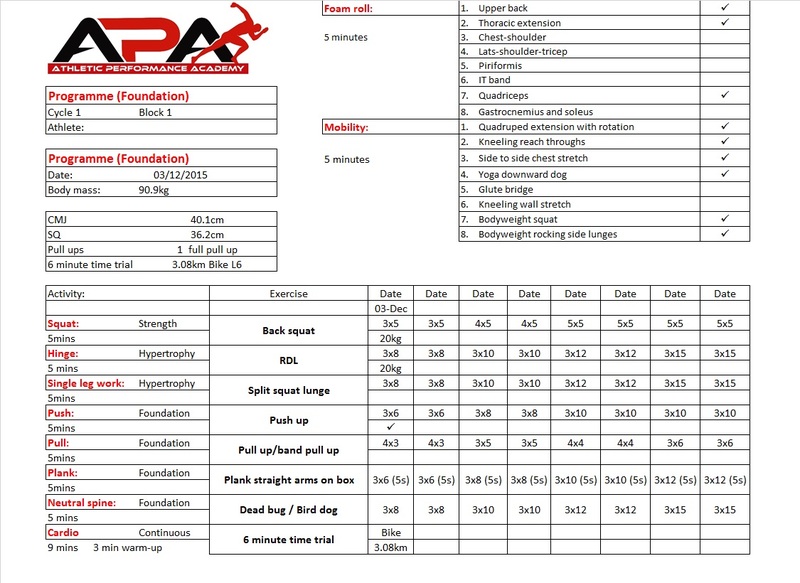 Below is a sample session plan for one of my new recreational athletes who has just completed his first Foundation Strength Group session. As I always Fitness test all group members at the beginning of each cycle he didn’t complete all the weight training exercises as we were testing his power, strength and stamina. The biggest challenge with professional athletes (Tennis players in this example) is that there are limited opportunities to make serious physical gains. Tennis is not ideally suited to Periodisation. Periodisation in tennis can be quite complicated due to a number of factors. First and foremost, tennis does not have an official off-season like many other sports. Tennis players don’t have the luxury of just one major event every four years (the Olympics) or even one or two major events per year. In fact, tennis with its many different ranking systems and different levels of tournaments offers many different opportunities for all levels of players to compete each and every week of the year. Most tennis players leave just the month of December to train in preparation for the following year’s campaign which is from January to November. 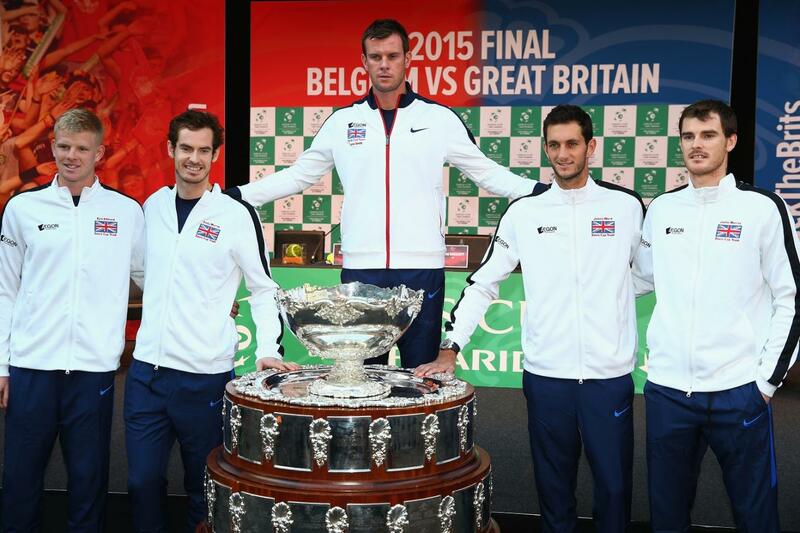 After the US Open in the summer there are still plenty of competitions including Masters events, ATP World Tour Finals (end of November) and even the Davis Cup in the last week of November- which GB were recently crowned World Champions in!!! As a result you have to be pretty sophisticated in your approach. You can’t spend 6 months taking the professional athlete through a progressive programme culminating in power. They only have 1 month. However, on the plus side they have built up several years of regular training so the analogy I give is it’s like cutting the grass to rediscover those strength ‘pathways’ that have gone missing. Whereas with recreational athletes it’s a full on laying down of the patio and digging foundations ready to lay down the grass later on. Below are two examples of pre-season plans for an experienced pro and an aspiring pro. The aspiring pro has not yet fully maximised their strength levels. You could obviously argue that no one has ever maximised their strength levels!! But it is rather to say, is the extra 5% gains worth the extra 2 or 3 gym sessions for the pro who can squat 2 x bodyweight for 1 RM, or would the athlete be better spending those sessions making 10% gains somewhere else? The programme has two maximal strength sessions. There are also two power sessions but crucially one is a power endurance session as the athlete needs to practice expressing his power under conditions of fatigue. In fact the back end of the week (Friday and Saturday) puts a bit more focus on conditioning. This programme features four maximal strength sessions (two upper body and two lower body). There is a little less emphasis on conditioning. http://athleticperformanceacademy.co.uk/wp-content/uploads/2015/12/447990615652-1432461580.jpg 640 640 dazdrake http://athleticperformanceacademy.co.uk/wp-content/uploads/2015/05/APA-Logo1-300x156.jpg dazdrake2015-12-06 18:20:302015-12-06 18:20:30What are the main differences between training pro athletes and recreational athletes?